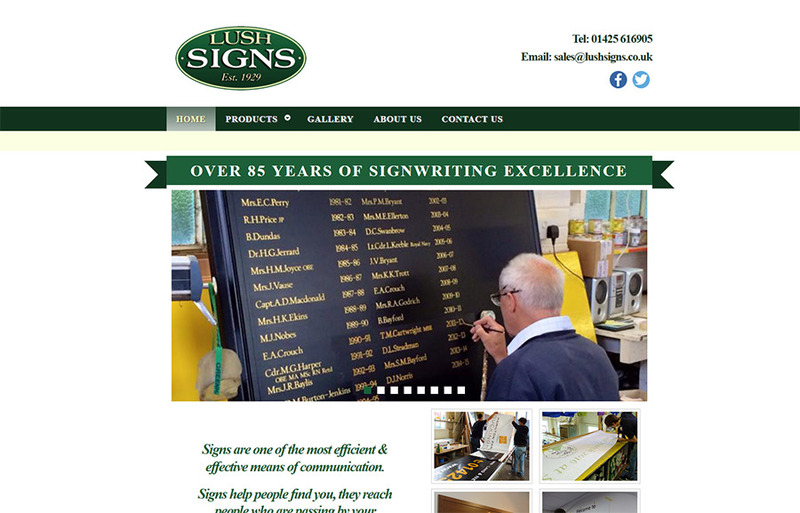 Established in 1929 Lush Signs is a family run business. We are one of the longest established Sign firms in Southern England. Lush Signs continues to flourish as the 3rd generation takes an active roll in running the company. We have a qualified team of Friendly Reception Staff, professional estimator/sales representative, Graphic Designers, Digital Print Technicians / Vinyl Applicators, Traditional Signwriters/Artists & a Professional Estimator/ Sales Representative. Whether you are a Small Local Business or a Large National Company, when using Lush Signs you can be assured you will receive a Personal, Friendly & Professional Service at the highest level of commitment.